If someone visits a link that is no longer valid for your site the browser will show a 404 Not Found error. It's helpful to customize that error page so that you can point the visitor to try another page of your site like your homepage. Two 404 page designs are required for a design. 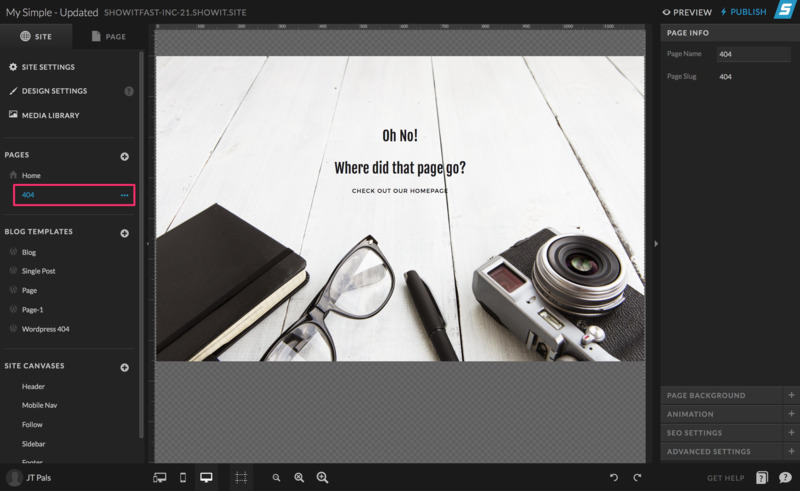 One regular page and one blog template. Did you know it's as easy as naming the page "404"? Simply create a new page and name it exactly "404" as shown in the screenshot below. When published it will automatically be used as the 404 error page if someone goes to a link that's not valid for your site. This would apply to users without a blog. 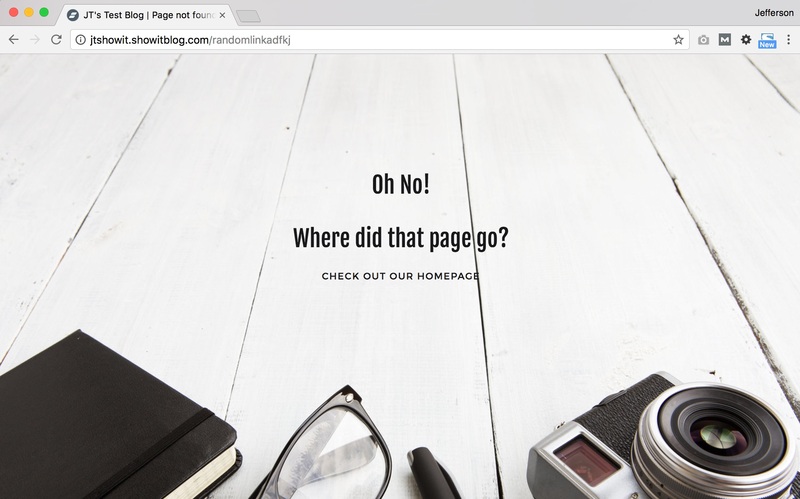 Once you have a 404 page designed as a regular Showit page blog users will also need to duplicate it for Wordpress and set it as a 404 Wordpress Template. Follow the screenshot steps below.